50 Flat Winning Secrets 2019. FWS19. 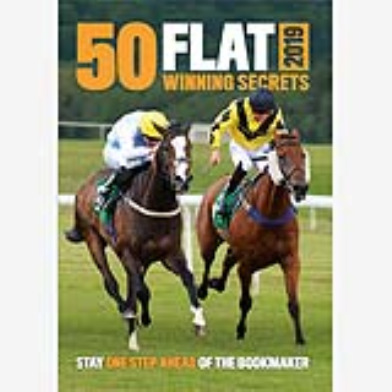 The 50 Flat Winning Secrets publication can add a new dimension to your enjoyment of the sport for the 2019 Flat season. 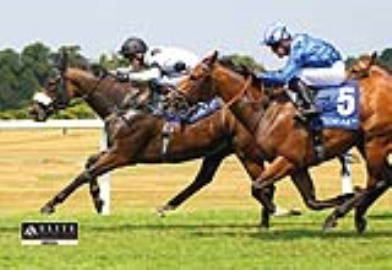 This quality product comes to you from the knowledgeable Elite Racing Club team and is packed with valuable information on 50 carefully selected racehorses. 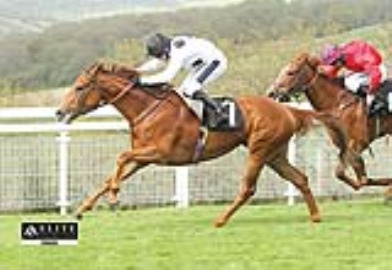 Each horse has its own ‘winning secret’ - the conditions that constitute a strong winning opportunity. Armed with this information, you could be one step ahead of the bookmaker. Diary finished in smooth leather-style material and hand-stitched around the edges in gold colour thread. 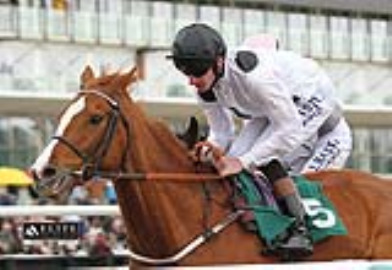 All UK and Irish fixtures, racing statistics, ready-reckoner and colour photographs of some of the leading Flat and NH horses of 2018. Elite Racing Club colours in the centre and 'Elite Racing Club Member' in gold. Size 28mm diameter. Worn as a badge or attached through a button hole. Mug - Featuring a montage of our 2016 foals and the Elite Racing Club logo and lettering in black. Black 100% cotton baseball cap with white piping on peak and Elite Racing Club silks and logo embroidered in white. National Hunt Horses Mug Ref: ERCNHM Featuring Volcanic, Clemency, Lumpys Gold, Yabadabadoo and Top Tug. Price: £9.99 including UK p&p. Flat Horses Mug Ref: ERCFM Featuring Zest, Man Of Harlech, Marsha, Judicial and Searchlight. Ref: ERCFM Price: £9.99 including UK p&p. Elite Racing Club Logo Mug Ref: ERCLM Featuring the Elite Racing Club silks and logo. Ref: ERCLM Price: £9.99 including UK p&p. Elite Racing Club The Book - 112 pages (PUBLISHED 2003). Elite Racing Club was founded in 1992. The Club's first winner was kabayil, and the rest, as they say, is history. Hard back. Full of colour photographs of Club horses past and present. (Racing Thriller - Fiction) A5 hardback with 272 pages and a beautifully produced dust jacket. This 1st edition could become quite a collector's item. Waterproof 3/4 length padded coat - with large Elite logo embroided on the front. Polyester outer with taped seams. 1/4 back tartan poly/cotton lining (rest of lining polyester). Full zip with stud fastening storm flap. Corduroy collar and concealed hood. Large front pockets with flap and stud fastening. Inners storm cuffs. Drawcord at hem. Zip access for decoration. These high quality Elite Racing Club Greeting Cards feature Soviet Song, Penzance, Eisteddfod and Inherent. They come in packs of twelve, three of each design, complete with twelve white envelopes. The insides are left blank for your own message. Size of each card: 148 x 210mm. French navy, black, white and pale blue stripe tie with stitched elite racing logo and lettering. 100% polyester. 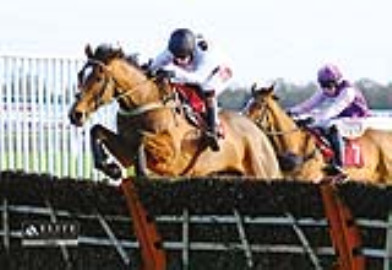 Available in multiples of £10, Elite Racing Club Gift Vouchers make an excellent gift. The bearer can choose to redeem their vouchers against membership fees, they can purchase tickets to Club hospitality events and stable visits, or they can buy items from the Club Shop. Grey Elite Racing Club Polo Shirt - 65% Polyester, 35% Cotton. Embroidered with Club's logo and colours. Black Elite Racing Club Polo Shirt - 65% Polyester, 35% Cotton. Embroidered with Club's logo and colours. White Elite Racing Club Polo Shirt - 65% Polyester, 35% Cotton. Embroidered with Club's logo and colours. Elite Racing Club navy v-neck sweater - 50% Cotton / 50% Acrylic - Machine wash, line or tumble dry. Embroidered with Club's logo and colours. 100% Polyester fleece with Elite Racing Club embroidered logo. Taped neckline. full length zip. Two front zip pockets. Open hem with adjustable drawcord. Fleece cuffs. Double stitch detail. Black mini Umbrella - Steel telescopic frame with black plastic handle. Size open: 97cm diameter. Folds to 23cm. Elite Racing Club logo on alternate panels. Complete with black nylon sleeve. Elite Racing Club Black Leather Hip Wallet with two note compartments, 6 credit card slots. Size: 113mm x 96mm. Elite Racing Club Leather Bookmark. The autiobigraphy of Grand National-winning jockey Jimmy Frost, with Lucy Johnson. Hardback - 208 pages. Full set of cards (1-40), loose. A specially produced album for Elite Racing Club trade card sets. Print is mounted under double sided glass and framed to the highest standard in a mahogany and gold effect wooden frame (size: 327 x 416mm). All pictures come complete with hanging fittings. A superb limited edition photographic print of Nicky Henderson and Dancing Bay mounted under glass and framed to the highest standard in a mahogany and gold effect wooden frame (size: 327 x 416mm). All pictures come complete with hanging fittings. Guaranteed production of just 500 prints, each individually signed. Prints are numbered and accompanied by a CERTIFICATE OF AUTHENTICITY. The image is from an original painting by Bob Rudd and the plate is a limited edition of only 1000. It is made in England and hand decorated with a 22 carat gold edge. Size: 208mm diameter. Print from original watercolour by Martin Williams, commissioned by Elite Racing Club. It is framed in a distressed gold effect frame (30cm x 25cm) and has a cream double mount. Limited edition print (unframed) from an original watercolour painting by Bob Rudd. Limited to 500, each print is numbered and signed by the artist. Actual size of print: 57cm x 43cm. This is a limited Edition Print (unframed) from an original fine art painting by Jacqueline Stanhope. 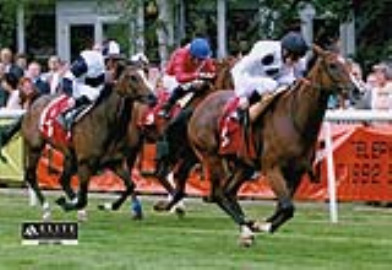 Soviet Song beating Attraction in the Group 1 Falmouth Stakes at Newmarket, 6th July 2004. Limited to 500, each one is numbered and signed by the artist. Actual size of print: 49cm x 43cm. This is a Limited Edition Print (unframed) from an original oil on canvas by Vineta Sayer. Actual size of print: 59cm x 43cm. A boxed limited edition diecast model of a 1938 Harrington Horsebox with Arthur Budgett Racehorse Trainer livery. Plus a limited edition A6 card with a short biography of the former trainer and details of his TWO Derby winners, Blakeney and Morston. Each card has been signed by Arthur Budgett. Limited to 1500. Old Ascot Scene. A superb limited edition photographic print capturing the unique atmosphere of Ascot’s old winners' enclosure. The scene is from 1979 with Willie Carson returning triumphantly on Troy. Unframed. Actual size of print (including white border): 355mm x 265mm. Guaranteed limited to only 500 copies. Each copy is numbered and is accompanied by a CERTIFICATE OF AUTHENTICITY & PROVENANCE (including a photograph of Willie Carson at the signing session). A superb limited edition photographic print of Lester Piggott at Royal Ascot in 1984 (unframed). Actual size of print (including white border): 355mm x 265mm. Guaranteed production of just 500 prints, each individually signed. Prints are numbered and accompanied by a CERTIFICATE OF AUTHENTICITY & PROVENANCE (including a photograph of Lester Piggott at the signing session).